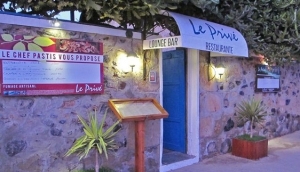 There are many fantastic restaurants to delight your taste buds whether you enjoy traditional Italian and French cuisine using the finest local ingredients or if your adventurous spirit demands that you sample some delicious Cape Verdean specialties. I can certainly recommend the fresh fish such as Tuna and Wahoo, which I am sure will be amongst the finest you have ever tasted. The Cape Verdean national dish 'Catchupa' is a highlight and a delicious steak cooked on a hot stone accompanied with a fine glass of Fogo red wine is something not to be missed.